Other than the beer festival, Riga is not overflowing with craft beer – with one shining exception (or two, depending on how you count). This is the S.Brevinga “empire” which consists of a pub and restaurant in the Old Town of Riga (right near Dome Square/Doma Laukums, here’s a map) with a bottle shop next to it, and then another bottle shop/bar in Berga Bazars, a trendy mall in downtown Riga (here’s another map). 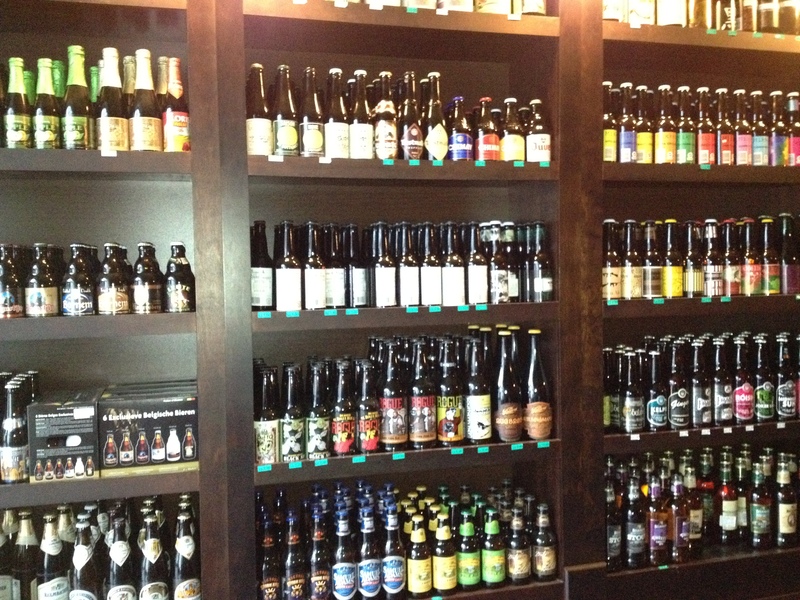 The pub is S. Brevinga alus un viskija bars (S. Brevinga Beer and Whisky Bar, for those of you Latvian-challenged), the bottle shop/bar is S. Brevinga Alus Salons, and they are both essential visits for the craft beer fan in Riga. As any good London beer geek would be, I am of course a member of Fuller’s Fine Ale Club, and the other day my free membership really paid off (ha ha). 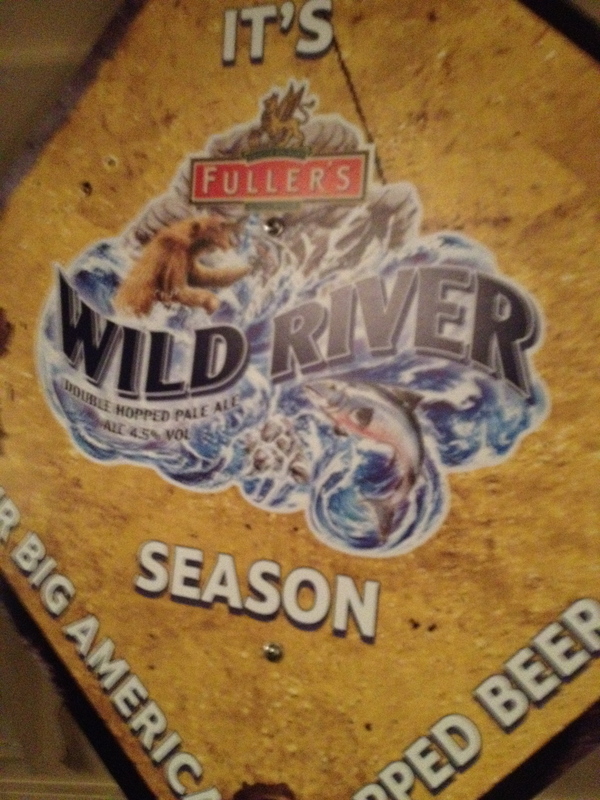 I was among the lucky 20 Fine Ale Club members to be invited to the launch of Fuller’s new seasonal offering, Wild River. Wild River is an American-style Pale Ale hopped with Williamette, Liberty, Cascade and Chinook hops and is, according to John Keeling of Fuller’s, inspired by the US craft beer scene. The tasting event was held at Fuller’s pub The Banker, a dungeon-like place under the arches of Cannon Street railway station. Guests were lubricated with Fuller’s Discovery before the main event, and treated to a roomful of snazzy branding. To quote John Keeling, “It took us two months to come up with the recipe for the beer, and two and a half years to come up with the name and branding”. I’m not surprised – it must have taken a while to figure out those cardboard bear traps! Jokes aside, it was a very nice and well-run event – I ended up chatting quite a bit to beer profile extraordinaire Phil Lowry, and all-round nice chap. As I recall, conversation ranged from how to make the best US-style barbecue to the political situation in the Ukraine (if you thought we geeks only talk beer at events, think again). Beer emergency, anyone? 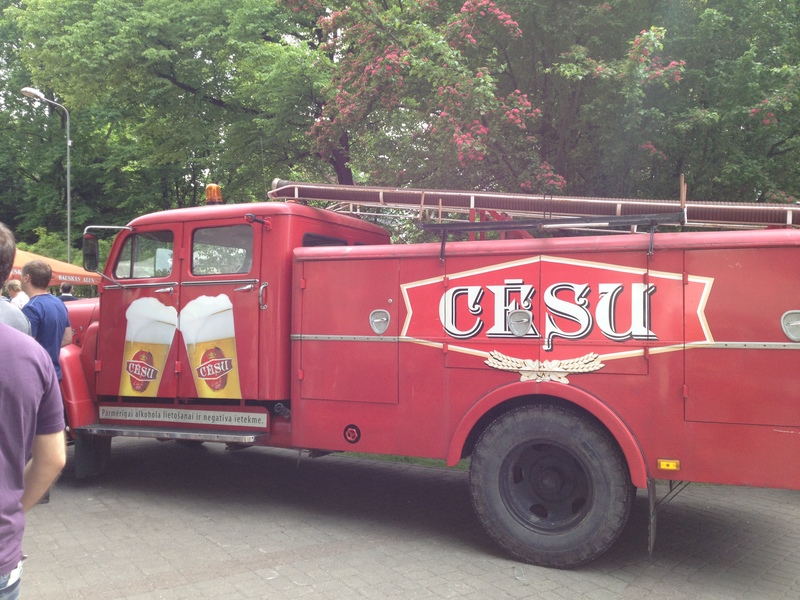 Brewery Cesu brings the party wagon. My recent stay in the Baltics (Latvia and Lithuania 23 May – 9 June) coincided not-so-coincidentally with Latvia Beer Fest, the main beer festival of Latvia – this year held in Vermanes Park in central Riga. I’ve been to the Baltics before and I really enjoy the beers there (particularly the Lithuanian ones – Lithuania has a great brewing heritage), though there is relatively little variety – regular and dark lager being the typical mainstays, but there are some surprises. 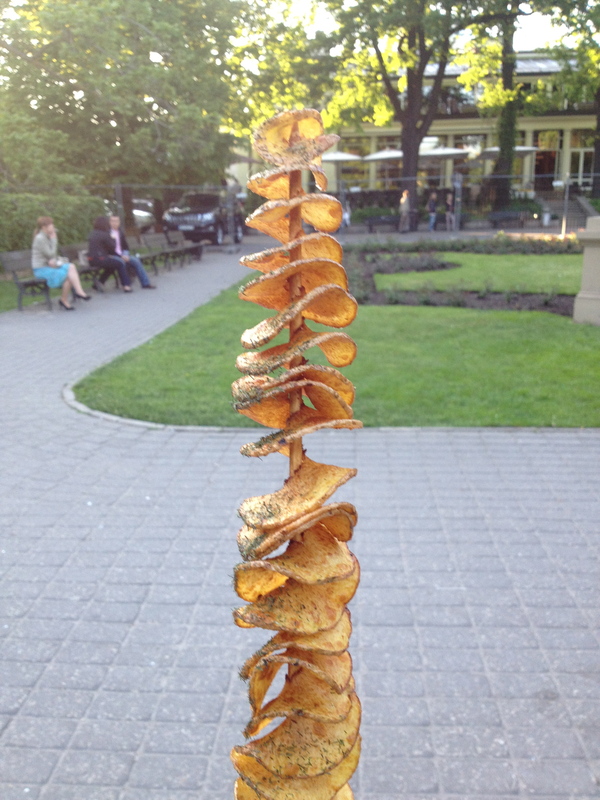 crisp spiral on a stick (see picture), but there was a lot of other rustic, beer festival-type food: sausages, sauerkraut (love sauerkraut! ), kebabs, fried potatoes, ribs etc etc (nothing much for vegetarians though). The beer stalls were spread out around the park rather than concentrated in one part, which also made the atmosphere more relaxed as it prevented crowding – if there was a long line at one beer stall you could always go to the next one. So all in all, the festival aspects were great.